Eyewear services at Modern Eyes Optometry are second to none. All members of our team are trained to provide you with appropriate product recommendations for your lifestyle – without the sales pressure of an optical shop. We have a wide selection of eyewear for all ages and visual needs. 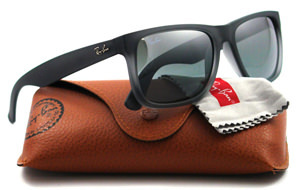 For sunglasses, you’ll find popular brands including Ray-Ban and Oakley. Looking for Contact Lenses in Cerritos? For contact lenses, our doctors regularly prescribe the latest lens technologies such as silicone hydrogel or daily use soft contact lenses designed for maximal eye health and comfort. You will be pleasantly surprised how reasonably priced filling your contact lens prescription is at Modern Eyes Optometry compared to Internet and warehouse locations. Additionally, when purchasing your contacts at our independent private practice, you have the confidence of our practice standing behind your purchase and providing contact lens replacement if a lens chips or tears. See below for more information about our eyewear services in Cerritos, CA. View the largest collection of high-quality eyewear in the neighborhood. We have eyeglasses and sunglasses for everyone – including the latest styles in designer sunglasses and prescription eyeglasses by brands such as Ray-Ban and Oakley. There is also a link to our eyeglass guide to help you choose the right pair of glasses for you. View the many types of comfortable contact lenses our eye doctors routinely fit on patients with various conditions such as astigmatism, dry eyes, bifocal, and multifocal needs. Also view the advantages of purchasing your annual supply of contact lenses at Modern Eyes Optometry. We are a proud Google Glass provider for Cerritos, CA and the surrounding areas. View our Google Glass services and learn how proper eyewear services from a certified Google Glass Provider can greatly enhance your experience with Google Glass.